More about Fiskars No. 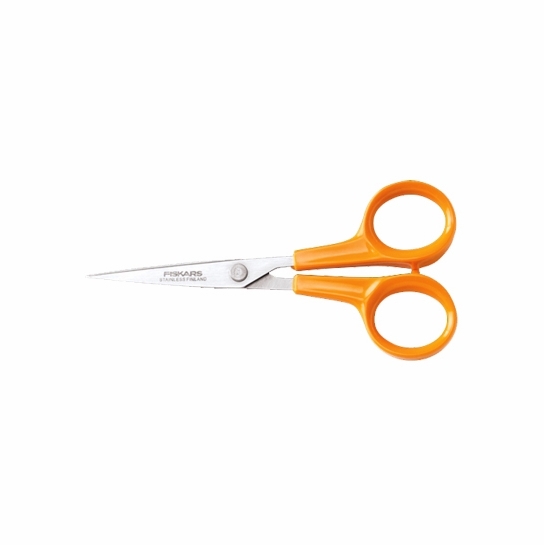 5 Premium Stitcher Scissors Delicate and detailed work calls for a scissor that can handle the job, the Fiskars No. 5 Premium Stitcher Scissors have an extra sharp blade from base to tip. Ideally made for sewers or quilters who make tiny snips and cuts, the patented Micro-Tip blade makes any difficult cut a cinch. 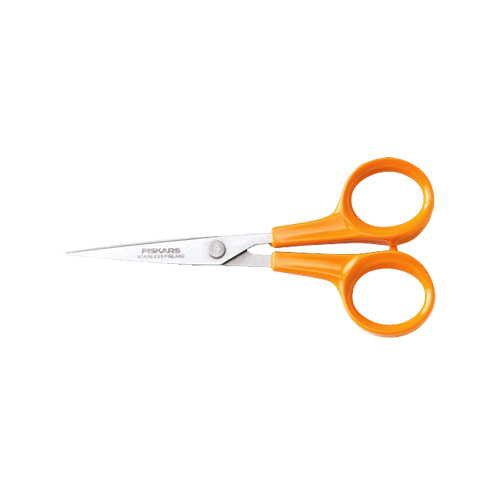 Able to clip through multiple layers of fabric, the blades of this scissors won’t dull or rust. Made in Finland, Fiskars has been a trusted brand since 1649 and continue to produce high-quality shears. I got a pair for each of my sisters for Christmas, and I'm very satisfied. They have a great feel and are super sharp. Nice to keep near the sewing machine for snipping. Fiskars No. 5 scissors are perfect for me! ProsSharpness, light weight, and good feeling in the hand.